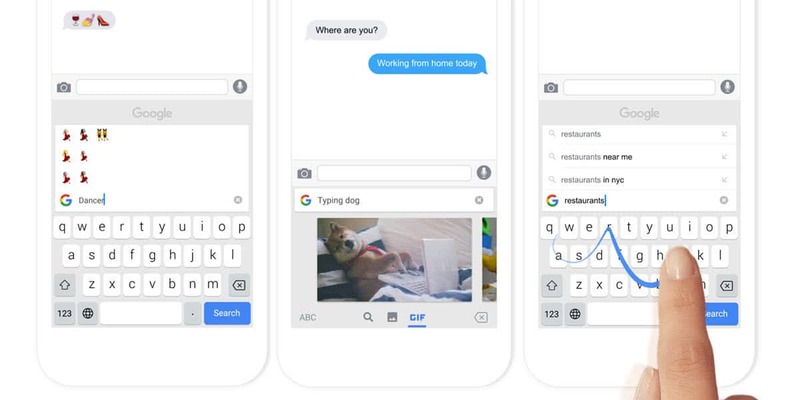 Earlier this year, Google released the Google Keyboard app that was iOS-exclusive and included Google Search, as well as GIFs and emoji search. 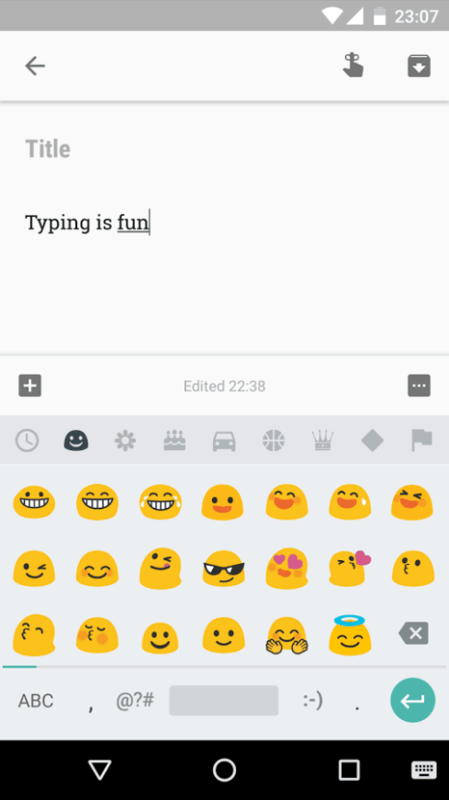 However, starting with the latest version of Google Keyboard, the app has been rebranded to Gboard on Android. There’s more than a name change, though. The latest update brings some new features, as well as smaller changes. For example, the G icon that lets you jump to Google Search is not enabled by default anymore. If you find it useful, it can be manually enabled from the keyboard settings in the Search tab. Also, you can optionally set the keyboard to always show the number row. Nevertheless, the new expanded GIF and emoji capabilities is probably the most significant update. GIF support was added in the keyboard for specific apps running under Android 7.1. Gboard’s latest version provides the GIF button for all users, including older Android versions, but only in apps that have GIF support. What’s more, you can also search for an emoji, and the search even provides results for possible typos. There’s also a new pop-out toolbar that lets you access themes and settings. It’s possible to have three active languages at the same time and set one of them as your preferred language. There are other, smaller changes as well and overall, Gboard is certainly worth checking out. You can download the app from Google Play Store but keep in mind the rollout is gradual and might not be available for you yet.